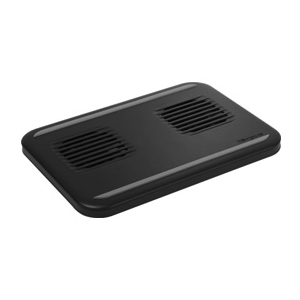 The Targus Netbook Chill Mat features two fans that generate cool air to keep the netbook running efficiently and help prevent overheating. The Chill Mat can be also used in the office to protect furniture from heat damage, or on the go to protect your lap from heat. Rubber grips keep your netbook in place to provide a sturdy workspace. The device plugs directly into the USB port, so no additional power is required.